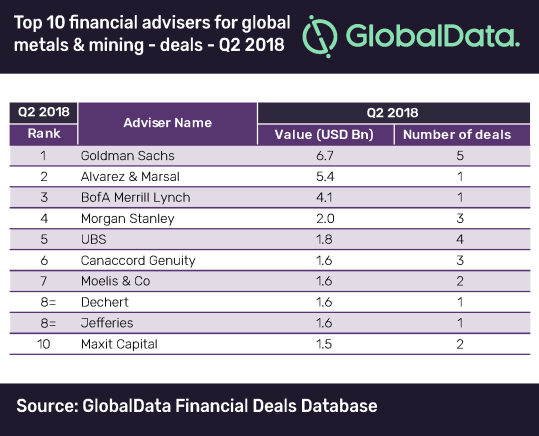 Goldman Sachs has made it to the top of the latest mergers and acquisitions (M&A) league table of the top 10 financial advisers for the Metals and Mining industry for Q2 2018, compiled by leading data and analytics company GlobalData. Goldman Sachs, an American investment bank, led in terms of value and volume working on five deals valued at $6.7bn, to become the top financial adviser to the industry, during the quarter. According to GlobalData, which uses its tracking of all merger and acquisition, private equity/venture capital and asset transaction activity globally to compile the league table, Alvarez & Marsal and BofA Merrill Lynch occupied the second and third positions by advising on deals worth $5.4bn and $4.1bn, respectively. Both players made it to the top of the global Metals & Mining league table, primarily due to their involvement in the industry’s highest-value deal – Tianqi Lithium’s proposed acquisition of 23.8% Stake in Sociedad Quimica y Minera de Chile for $4.1bn – registered during the quarter. In terms of volumes, UBS occupied the second spot in the table with four deals. The bank was ranked 4th by value. The total global Metals and Mining deals market has experienced a quantum leap in year-over-year value but a marginal drop in volumes. Deal value soared significantly by close to 116% to reach $20.3bn in Q2 2018 compared to $9.4bn in Q2 2017. Volumes declined by a mere 2.8% from 287 to 279 between the quarters under review. 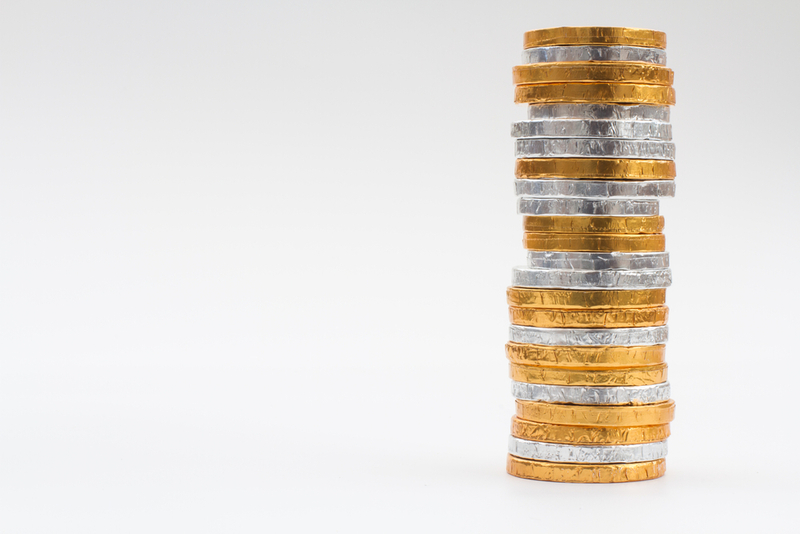 The top ranked bank in the Metals & Mining league table of M&A financial advisers, Goldman Sachs was also the second top player in the global league table of top 20 M&A financial advisers released by GlobalData recently. 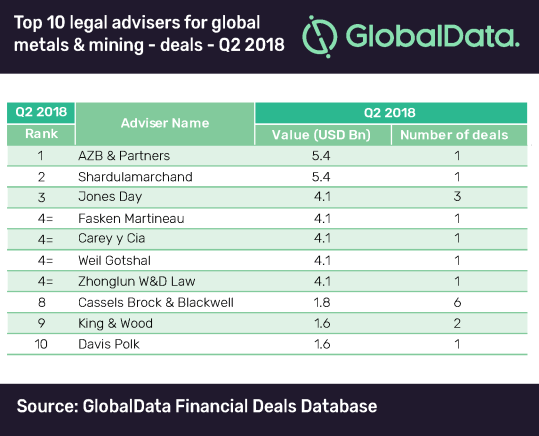 India-based AZB & Partners emerged as leader in the top 10 global M&A legal advisers for the Metals and Mining industry in Q2 2018, with just two transactions worth $10.6bn, including the industry’s highest-value deal – the $5.3bn acquisition of Bhushan Steel by Tata Steel. The same deal pushed another Indian law firm into second place.